We would like to take this opportunity to announce you that HKS TRB-03 established new lap record in Tsukuba Circuit Course 2000; HKS TRB-03 set 49.445 second lap time. HKS first announced in HKS Premium Day 2017 to challenge new lap time record of Tsukuba Circuit with GTS800. Over the past year, we repeated tests and upgraded the specifications of GTS800. At Tokyo Auto Salon 2018, we announced of “TRB-03” evolved from GTS800. After we brought TRB-03 to Tsukuba Circuit Course 2000 for time attack several times. 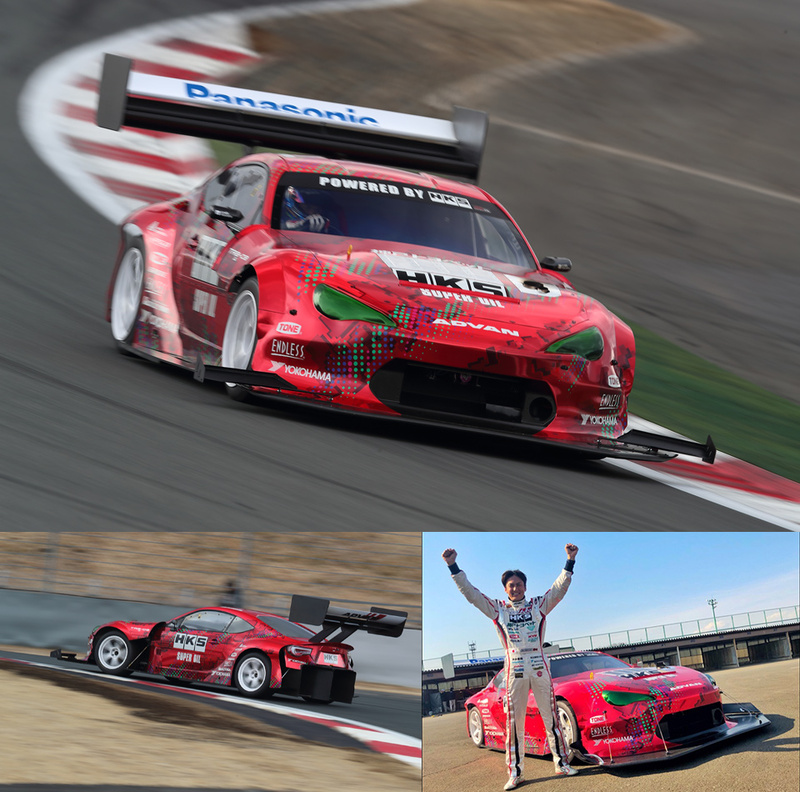 Finally, on February 15, 2018, HKS TRB-03 established 49.445 second lap time; it was is the fastest lap time in Tsukuba Circuit Course 2000, and less than 50 second lap time was our target record from the beginning. The accumulated know-how through test runs will be fed back to development of products for 86/BRZ.